Welcome to Day 3 of the Valentine’s Day Blog-a-thon! Ready to a new approach with your online dating efforts? Here’s the online dating expert who can help you shake things up to get the results you want. Introducing today’s guest blogger, Laurie Davis, founder of eFlirt Expert and co-host of the weekly web show, LoveNation. She helps singles market themselves to become successful daters, is the current NY Tech Dating Examiner and a contributing writer for The Guyds. There are a lot of things to love on Valentine’s Day and your singledom is one of them! Yup, you read that right. Loving your singledom on V Day is just as important as the requisite box of chocolates. 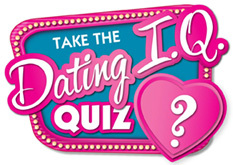 Make February 14th the day to refocus yourself and have fun dating online! 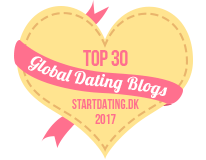 Below are eFlirt Expert approved ways to empower yourself to step outside of your virtual dating box. Let Go Of Expectations. Feeling jaded from past online dating experiences? Start fresh by banishing negativity. For every negative thought you have, commit to emailing one more match. Re-think your “type” and communicate with a wider range of matches. Go To A Singles Event. Speed dating events and singles mixers are perfect supplements for online dating. Do a quick Google search for your city or join meetup groups. Choose events that focus on activities that interest you. Revamp Your Profile. Add new photos and text to your profile. A fresh take on what you’re looking for and your interests will give your profile a whole new look! You might even catch the eye of a match who has previously overlooked you. Still not getting the attention you want? Get an eMakeover . With a little effort towards your single-self, you’ll be happier than a Hallmark card could ever leave you! Want more Blog-a-thon? Great! To read posts from the first two days, see links below and enjoy. Relationships After Divorce: Rated “G” for Gross!! !